Long been a tradition to make beautiful "discharge", discharge, and anniversary photo albums. Carefully paint them with colored pencils and paint, add appliques and poetry... Modern technologies give the opportunity to create slideshow from photos by adding clips to the music, titles and videoeffects. 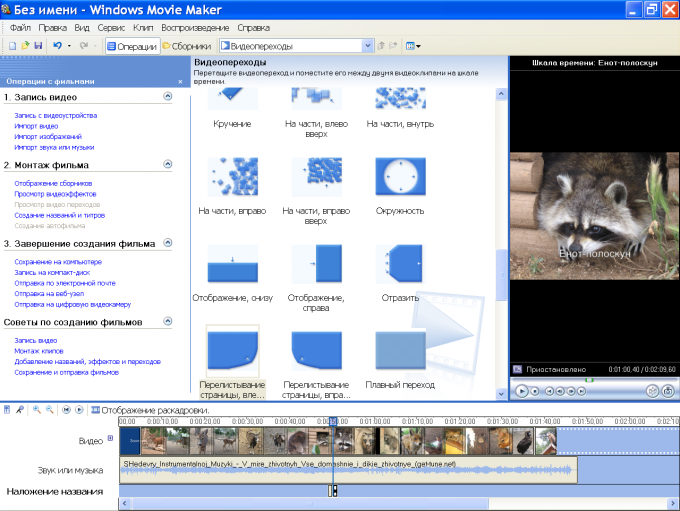 One of the most affordable programs for creating and editing a slideshow is Movie Maker, part of Windows OS. 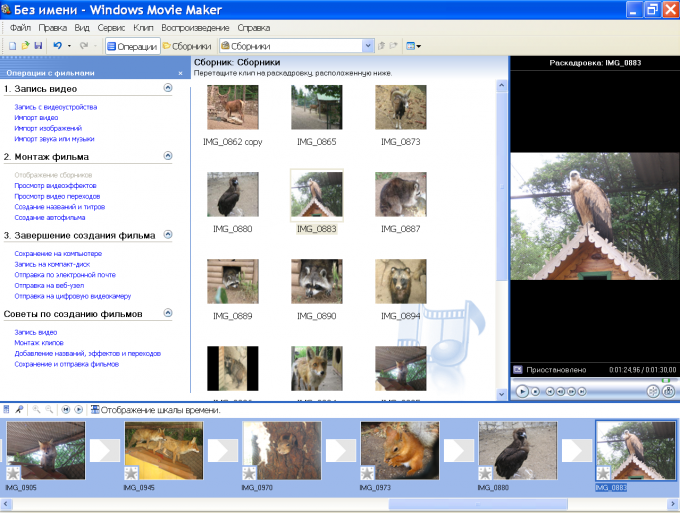 Open the folder C:\Program Files\Movie Maker and double-click the icon Movie Maker.exe to run the program. For faster access you can drag the icon of the launcher file on the desktop, hooking it with the mouse. In the top row of the program window is a standard menu bar, familiar to all who work with software products Windows. Under it placed 3rd window: task pane, content pane and the preview window. At the bottom are the storyboard and the timeline. In the task pane lists all the commands available to users. In the content area posted videos and photos which will be the basis of a clip or a slide show. In the area of the storyboard/timeline, you can change the duration of the viewing frame, to overlay on the clips and the transitions, video effects, add titles and music. In the field of view visible intermediate results of processing of file and ready the clip. To make a slide show of photos and drawings in the task pane under "video Recording", click "Import pictures" and browse to the folder where you're going to take graphic files. If you want to use multiple images, hold down the Ctrl key and click the mouse on the desired file, then press "Import". The images will be copied to the content area. Now alternately grab the mouse photos and drag them to the storyboard. In this area there is the installation slideshow. It is displayed in two modes: storyboard and timeline. In storyboard mode you can change the sequence of the frames and add effects in the video. Click on "View video effects" under "Installation". The window display will hook the mouse any effect and drag it onto the selected frame in the storyboard. For example, the last frame, you can add "Fade in black background". A family photo can be used to age with the effect of antique, etc. In the lower left corner of the clip will appear in the box with a star and a tooltip with the name of the effect. In order to make beautiful transitions, click "View video transitions". Drag the effect icon to the space between the frames and observe the results in the preview window. In the timeline you can set the preview time of each frame and switch between them, trim video and audio, and add titles to the clip. In the task pane under "video Recording", click "Import audio or music" select the desired audio file and click "Import". Click "show timeline" and drag the "Audio / music" icon of the audio file. If the audio track is longer than the video, you can trim the sound or increase the duration of playback. 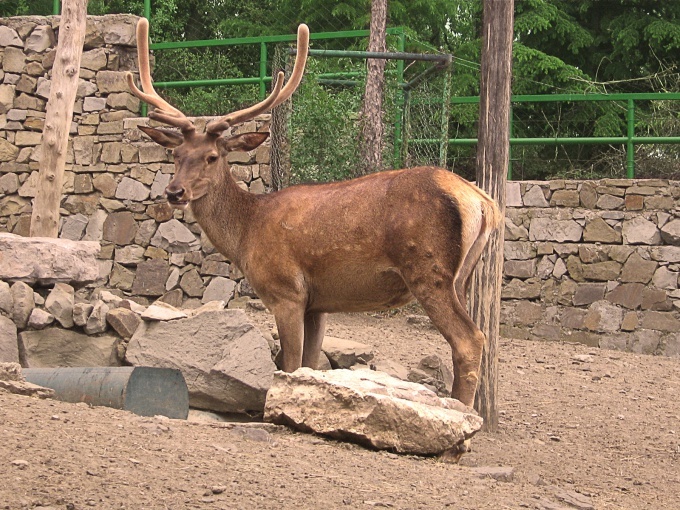 To crop the sound, hover over the right boundary of the sound track until the two red arrows, click and hold the border with the mouse and move it to the left. You can double-click the track and select a sound effect, such as Fade, to the music slowly died down. In the same way you can edit the duration of the viewing of images. Click on the frame, move the cursor to the left or right border and drag in the desired direction. In this case, a tooltip appears, showing the current duration of the preview. You can name the slide show, explanation of each frame and the credits after the movie. To do this in the section "Installation of the film" click "Creating titles and credits" and choose the desired item. Enter the text in the box that appears. To add animation effect to a label, click "Change the title animation" and choose the appropriate view from the list. In the preview window will appear change the appearance of the label. In this way it is convenient to introduce the name of the movie and past the credits. To put the inscription on the frame is possible only in timeline mode. Click on the desired clip and select the link "Create titles and credits". In the "Where to add title" box, specify the location for the label and its appearance. In the section "Imposition of names" under the frame appears narrow black-and-white icon. If you want to delete or edit a caption, click the right button and choose the desired command from the context menu. After these steps, select the mouse the first frame and click on "Play timeline" to preview the slide show with superimposed music. Make the necessary changes if you are not satisfied with something. To save the file, go to "completing the creation of the movie", click the desired item from the list and follow the wizard instructions save.